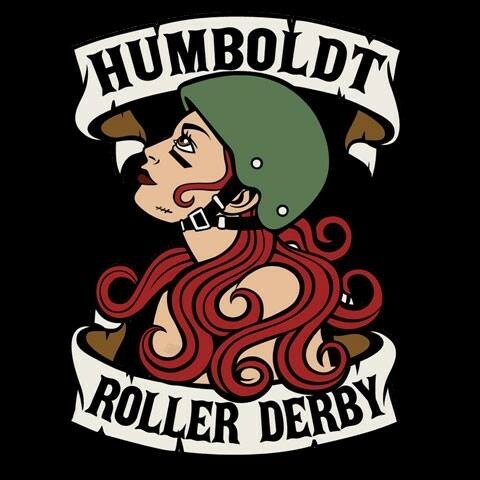 It went dormant in June, but Humboldt Roller Derby is back on the scene with a BANG! And a POW! It's a night of super heroes and mega villians at 7 p.m. on Saturday, Oct. 18 at the Redwood Acres Fairgrounds, with the Widow Makers versus the North Jetty Betty's; that's right, two Humboldt Roller Derby teams are facing off in a local bout of super proportions! NCJ has two sets of two tickets to giveaway to two lucky readers. You could be one of those two's! All you have to do to enter is comment on this blog post with the name of your favorite super hero or mega villain. Then, check back in on NCJ's Facebook and Twitter pages at 3 p.m. to see if you won. It's basically the easiest thing ever: click, click, click, "Batman," click, click and presto! Of course, your choice doesn't have to be Batman; it can be some other, less awesome super hero. The winners are picked at random, so no matter what hero or villain you hold dear to your heart, you still have the same odds of winning. So...your choice might as well be Batman.